Chapter 3: The Osiris Mystery. "The most 'ancient treasure' that was left to us by our predecessors was the idea that the gods are really stars, and that there are no others." The ending of the "Era of the Gods" (in 3147 BC) brought on an explosive rise in civilization: intensive agricultural practice (simultaneously in five or more unrelated regions), monumental constructions, cities, writing, kingships, and wars of conquest. The "Era of the Gods" permanently set our concepts of Gods and heaven and became the basis of all religions. It shaped our languages, architecture, and political systems, and even our ferocious antipathy toward our own species. Most importantly, humans developed a subjective consciousness some time after the close of the "Era of the Gods." The acquisition of subjective consciousness was not a certain process nor universal. I'll detail this along the way with the narrative. In the present chapter I'll describe how an explanation of the mechanics of Saturn as a Polar Sun developed in the 20 years since 1980. In subsequent chapters I'll detail the significant events leading up to the Polar Sun and from there to the historical age of the seventh century BC. This chapter will touch on all these events to some extent, but mainly on the Polar Sun scenario. In the first century AD, Plutarch, in his essay "Concerning the Mysteries of Isis and Osiris," described the strange liturgies of the Egyptians. Plutarch was at a loss to explain the story of Isis and Osiris which so pervaded all of Egyptian thinking. Plutarch's reaction was based on 400 years of Greek common sense. He thus reduced the story to a series of metaphors and similes, even equating the death and resurrection of Osiris with the rise and fall of the Nile and the growth of vegetation. But it becomes obvious from Plutarch's repeated attempts at explanation that he failed to understand the mysteries which in his time were already 3000 years old. Worlds in Collision is actually very readable and started to answer many questions about antiquity, about the strange concerns and thinking of our ancestors, and about Mesoamerica. However, there are problems with some of Velikovsky's research. Worlds in Collision seems at times dated, for, despite the fact that nothing more relevant exists, many of the sources are retellings from earlier events or from late antiquity. Just as suspect for us are the quoted sources from the late 19th through the middle of the 20th century. References in Worlds in Collision are at times selectively quoted (although I find this less troublesome) and more frequently attributed to the wrong era. Velikovsky's second book, Earth in Upheaval, was presented as a compendium of physical data (mostly geological) bearing on the subject, but the data fails to be convincing, whereas the literary sources of the first book succeed in telling a believable story. Of course literary mythological sources are incomprehensible to scientists, if not complete anathema, so that the major contemporaneous critiques of Velikovsky, which universally came from staid scientific disciplines, centered on the mechanics of astronomy and astrophysics. The reason for the failure of the scientific community to penetrate Worlds in Collision should be obvious: The mythology, and the history implied in the mythology, were completely outside the range of training and knowledge of the astronomers and physicists who got involved. The scientists simply did not know what to talk about, and addressed themselves to side issues of physicality instead. The validity of myth and ancient history could not be understood. And although mostly the critiques represented reactions to Velikovsky's suggestions of catastrophism, catastrophism soon entered the very disciplines which had objected to it so vehemently, although always placed safely distant in the past. The acceptance of the giant meteor (meteorite) crater depression in the Yucatan as indicative of a catastrophic event (responsible for the worldwide K-T boundary layer of Iridium dated to 65 million years ago) was an admission by the scientific community that "such things" could happen. Academics might entertain catastrophes millions of years ago, but not within recent historic time. Going by the physical characteristics, Venus was created recently. There are many claims in antiquity to this -- "born of Zeus" -- that is, Jupiter. Some people point to the red spot of Jupiter to surmise a possible mass expulsion. Venus was, however, not an expulsion of Jupiter, but an escaped satellite of Saturn. It most likely had its genesis in the mass expulsion of 4077 BC. It shows up in Egyptian iconography by 3100 BC, in the earliest depictions of the Horus/Mars pharaoh figures, where the pharaoh wields Venus as a club to pound a captive. The notion that Venus originated from Jupiter was promoted by Velikovsky, and stands today as the most persistent error which continues to foment flights of rhetoric among cosmological fanatics and establishment academics alike. Velikovsky held that the approaching planet was taken by the Hebrews to be the savior God of the Exodus. The Hebrews left Egypt during the confusion and devastation which resulted from the alignment with a planet of equal size to the Earth. It caused the demise of the Middle Kingdom of Egypt. The Earth's orbit increased, and the year lengthened. It is only becoming clear during the last decade how this could have happened and what the forces between the two bodies would have been. The "close approach" in 1492 BC was probably a separation of some 10,000,000 miles (16,000,000 km). The "collision" was due to an electric field force, not a physical impact or due to gravitational interactions. I'll clear up the matter of electric effects in later chapters and Appendix B. Naturally, when Velikovsky missed some point, his critics would pounce on him like tigers. But the force of his argument does not derive from physics or exact dates (although he had a penchant for dates) but from an accumulation of literary sources. I struggled with the mechanics involved in the "close approach" of Earth and Venus, but what rang most true for me was his recitation of the ten commandments in Hebrew as the groans of an Earth writhing with seismic waves -- when the mountains groaned and "the hills danced like little lambs." Velikovsky had intended to write a history of events preceding the contact with Venus in 1492 BC, but put it aside. Some snippets can be found at [www.varchive.org] under the subject heading of "In the Beginning." It would have involved Mercury, Saturn, and Jupiter. One comment he made was that he thought the Earth had at one time been a satellite of Saturn. That suggestion started David Talbott on a search for contrary evidence. David Talbott initially sought to disprove Velikovsky's notion that Earth had at one time been a satellite of Saturn, but twenty years later he was solidly convinced otherwise, publishing The Saturn Myth in 1980. The Saturn Myth held that, in the early history of Mesopotamia and Egypt, Saturn had loomed very large over the North Pole of the Earth, with Mars and "Venus" in between (actually, from my determination, this last was Mercury) and all four connected by a stream of particles of dust or water -- the axis mundi. Absurd as this might seem initially, all the religious documents of the early Middle Eastern civilizations point to the same idea, as do Chinese, Celtic, Maya, and Norse recollections, the Vedas, and the legends of people elsewhere throughout the world. The Sun (our current Sun) was but a minor character in all this. One role it played was to light up the edge of Saturn. This became the first index of the passage of time, the first "clock." (Saturn or Kronos translates to "time.") From the Earth, below the south pole of Saturn, a crescent could be seen rotating on a daily basis around the edge of the immense globe, which was suspended above the north horizon as the Earth turned. The configuration of Saturn, Venus, Mars, and Earth all in a line (the "polar alignment") presented some very real dynamic problems, for it was initially thought that all the planets were located in the same plane, that is, the ecliptic, and rotated around the Sun in unison, with the Earth's North Pole pointing toward Saturn. The idea that Saturn revolved around the Sun with the other three planets hidden behind it -- called the "shishkebab alignment" -- would in effect have placed Earth on its side. The crescent seen on Saturn, under this model, was thought to be the planet Jupiter, located between Saturn and the Sun, just partially visible and lit by the Sun. The stumbling block in this five-planet shishkebab, as first proposed, was the suggestion that all the planets would, in effect, be on their sides. If this whole arrangement orbited the Sun, the direction in which the poles pointed would constantly change. The dynamics of such an arrangement are completely untenable, despite the acceptance of this configuration by a number of physicists and aerospace engineers. Earth is a gyroscope, and twisting a gyroscope's spin axis makes it react violently. The Earth would have split asunder from the forced change in rotational momentum. It is absolutely astounding that for a period of twenty years, no one seriously objected to the shishkebab alignment, excepting a few physicists, like Tim Thompson, but none of these stated the obvious: that any change in the direction of the rotational axis of a planet would set it into a violent gyroscopic reaction. Rather than that, which was the first thing that occurred to me when I heard of the shishkebab proposal, we get endless references to Kepler's Third Law (the planets would be traveling at different orbital radiuses at the same orbital period), and even more talk of what theories are supposed to do and prove. What an enormous waste of time that was. It was only Wal Thornhill's contribution in about 1995 which in one stroke of genius cut through this Gordian knot of unimaginative scientificism. I'll detail that further below. One of the first independent analyses of the dynamics concluded that this configuration would only work if Mars were allowed to oscillate between Saturn and Earth -- thus alternately coming closer to and receding from the Earth. Strange as the shishkebab alignment was, this was even stranger, yet this is what Talbott had surmised from his investigations but never published as part of The Saturn Myth. Details of The Saturn Myth were argued for 20 years. During that time there were a number of competing models, all created to fit the imagery derived from before 3100 BC. Interestingly, the imagery was never in question. Some researchers disputed the assignment of planet names to the polar apparition, and some argued for completely different phenomena. But there has been little disagreement that the imagery appears universally, certainly within the region defined by cultural diffusion from Mesopotamia -- to Egypt, Greece, India, and Rome. Concordance from further afield was spotty and often could be argued as selectively picked, but most is better established today. There is evidence of these tales from Africa, Mesoamerica, South America, China, and Oceania, but on a lesser scale and always much later. Van der Sluijs at one time said, "None" for further evidence. But he also did not consider the creation "myths" from China, or the Nordic tale of heaven atop a tree, in effect the axis mundi seen from a completely different vantage point (as the "bridge to the Other World"), or the underlying strata of mythical elements which show up in Mesoamerican and South American sources. There is, in fact, a clear record from Mesoamerica provided in the texts of the Chilam Balam books of the Maya, although these are horrendously arcane and almost indecipherable, especially if a prior model is not available to the reader during an attempt to crack the arcana of the texts. Once I had devised a reasonable chronology of the events from Mediterranean (and Chinese and Vedic) sources, I started, in 2006, the task of attempting to read the Maya Chilam Balam books. I realized soon that all that was told to have transpired by records of the Mediterranean region, was duplicated, complete with dates, in these Maya Books. However, it took over four years to decode the Chilam Balam to my satisfaction. Meanwhile, back to the 20 years after 1980: it was initially surmised for the shishkebab model that the large globe suspended above the North Pole had existed since before the Old Kingdom of Egypt (before 3000 BC) and came to a final end with the dissolution of the Old Kingdom (after 2300 BC). Both date estimates proved to be incorrect, especially in that there was no information about what might have come before 3000 BC. What brought the Saturnian Polar Configuration to an end was an interaction with the planet Jupiter, which at that time orbited much closer to the Sun. Jupiter is massive -- it has more mass than all the rest of the planets of the Solar System together. Jupiter is also stable. With an enormous mass and rotating at a period of 9 hours today, it represents almost all of the rotational momentum of the Solar System. Jupiter would not budge. It tore the gas giant Saturn apart -- or so it looked from the vantage point of Earth. Wal Thornhill ran into the cosmology of Talbott by accident, and immediately understood it in completely different terms. Having studied the works of plasma theorists, which hold that the nature of the sun is not nuclear but electric and that virtually all phenomena in the Universe are exhibitions of plasma flows, Thornhill was able to bring a completely different approach to the mechanics of the Saturnian Polar Configuration. First, he assumed that the shishkebab formation consisted of planets stacked one above the other -- all at nearly the same distance from the Sun. Second, he maintained that the connecting stream between the planets wasn't water or dust -- it was a plasma stream from Saturn at glow or arc mode. Thus Thornhill's major change in the model was to stack Saturn and its planets one above each other -- a stroke of genius -- which accomplished what had long been surmised but never related to physics. In rotation about the Sun, the side of Saturn would now be lighted by the Sun. Seen from below Saturn, this would be a crescent rotating about the planet. In this position the axis of Earth would not be subjected to a constant twist. All the planets would thus travel on about the same orbit around the Sun, although above or below the orbit of Saturn. A plasma stream represents a flow of electricity (a current) through an ionized or easily ionized low-density gas. The current could be composed of electrons, negatively charged ions, protons, or positively charged ions, in any mix. The number of electrons or ions need only represent a few percent among the gas molecules (or conductor). The flow of positive or negative charge carriers can happen simultaneously and would flow in opposite directions. (By convention, the "current" is defined as flowing in only one direction, opposite the direction in which electrons move.) The space between stars, and even between galaxies, contains enough electrons and protons to allow the flow of plasma in absolutely huge quantities. The "vacuum" of intergalactic space thus supports plasma streams billions of miles wide and light years long. These can often be seen in X-ray imaging, connecting stars as well as galaxies. A plasma flow could thus be understood as a very low-density gas; however, it does not behave as a gas. It is electric in nature, not unlike the controlled current flows we use for electricity in wires. The plasma current flow results from a difference in the electric field potential from place to place -- think of it as a "voltage difference." Plasma streams take three forms. The "dark mode" represents the least current density, and is invisible. In "glow mode" the flow is visible because the increased energy of the electrons makes them radiate light. In "arc mode" the ionized media is so energized that it radiates not only visible light but also in ultraviolet and x-rays. 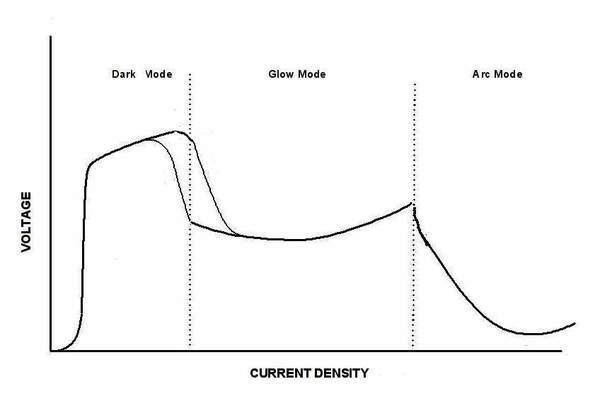 Although arc mode represents the highest current flow, the discharge in arc mode still takes time because plasma streams are self-limiting even at large current levels. The common "flash tube" used for cameras is a plasma discharge through an ionized gas. Ionization is accomplished by means of a high-voltage pulse fed to a wire adjacent to the tube. The flow of current (amperage) within the tube can be astoundingly high -- currents in flash tubes often exceed a thousand amps. Only the fact that the flash is of very short duration (1/1000 to 1/2000 second) keeps the glass from melting. Plasma streams are applied commercially, as (for example) in neon signs, neon lamps, UV lamps, pulsed xenon lamps, carbon arc lamps, electric arc welding, and electronic flash. Plasma streams are used in precision metal milling, and in (some) radio vacuum tubes and gas rectifiers. Thornhill also made it obvious that planets are globes which each carry an electric charge and it is this -- their electric field -- which keeps them apart. The planets in the Saturnian Polar Configuration would keep their distance from each other because the electric field repulsion which would overwhelmingly exceed any gravitational considerations. But this is probably not a simple matter, especially if Saturn was indeed positively charged. I will take this up again in Appendix B. By the Talbott / Thornhill model, Earth would have existed within the glow level plasma discharge (the coronal envelope) of Saturn before the intersection with the Solar System, and within the memory of mankind. This condition would have provided an amount of light which did not vary from day to night. The stars and other planets might not have been visible, and perhaps not even Saturn would have been seen -- just the "waters above." Then, as Thornhill would suggest, on approaching the Solar System from deep space, and finding itself in a space dominated by the electric field of the Sun, Saturn would shrink its discharge envelope until Mercury, Mars, and Earth were located outside the sphere of visible discharge. On approaching the Sun, Saturn would become visible in the "waters above" as a giant globe hovering in the sky at the North Pole. This scene is, in fact, the worldwide scenario of creation: First there is darkness; then Chaos; which dissolves into an image of a large globe. The waters above dissolve to show "land" -- the original land of Paradise. Everywhere this land was called "Earth," while the place where humans lived was called "Lower Earth" or "Middle Earth." Second, Saturn would not gently corkscrew its way into the ecliptic to find a location among the other planets. If Saturn came into the Solar System from outside, it would act similar to a comet on approaching the Sun. The Sun is big -- 12 times the diameter of Saturn and with more than 3,500 times the mass. Saturn would be gravitationally attracted and would speed up on approaching the Sun, whip around the Sun at close range (the perihelion of its orbit), and then disappear into space to return again after a very long interval. Third, in the Thornhill model (as originally presented) the Saturnian System entered the Solar System from below the ecliptic. This was based on the unstated assumption that the Sun and its planets (and by extension, any star) together move in the direction of the Sun's north pole -- what we would call "up." This is, in fact, the movement of the whole Solar System in its rotation about the center of the Milky Way Galaxy. But there is no particular reason why the Saturnian System would be moving in a similar manner, that is, in the "up" direction of the axis of Saturn, except to allow Mars and Earth a position below the South Pole of Saturn. What is important is that the direction of the spin axis of Saturn and its satellites would not likely have changed. They are today still at 31 degrees to the axis of the Sun (24 to 27 degrees from perpendicular to their individual orbits). Spin (rotational momentum) represents an enormous amount of kinetic energy and as a result spin is very stable. "So what I'm suggesting is quite radical -- that all of the planets and moons in the solar system did not originate with the Sun, they were captured. Capture of a brown dwarf star [meaning, Saturn] begins when the plasma sheaths touch and they 'see' each other electrically for the first time." "The brown dwarf changes from being an anode in a galactic discharge to a cathode in the Sun's environment. The adjustment is drastic. The brown dwarf is no longer a star. It becomes the mother of all comets and subject to a steady electrical acceleration toward the Sun." What Thornhill is pointing out here is that unlike electric charges attract. True enough. If, that is, a star entering the Sun's plasmasphere would represent a body charged to a large negative value. He then assumes that the positive charge of the Sun is enough to draw the outsider into the plasmasphere of the Sun, and it would travel to the Sun. But this also neglects the protective plasmasphere of Saturn, which would isolate it from "seeing" the electric properties of the Sun. Is any of this true? Perhaps some of it. We do not know exactly. Astrophysics is speculation, constrained, like fantasy, by some of the laws of nature that we think we know. I suggest that Thornhill is here neglecting the isolating double layer of the plasmasphere of Saturn. Gravitational attraction would be enough to bring it to the Sun. "That acceleration [of Saturn toward the Sun] will tend to cause the satellites of the brown dwarf to be dislodged from their orbits and, in a dynamic equilibrium, strung out behind in their primary's cometary wake. Since a comet's ion tail is a discharge current, the satellites will experience 'mega auroras' and devastating interplanetary discharges to varying degrees." This is complete malarkey and absolute nonsense. You have to ask, how would a planet's satellite end up in its ion stream, which is made up of repelled gas ions at best? Interplanetary space is not a substance which drags satellites away from a planet. I would seriously disagree with the "dislodging of satellites." Gravitational theory contradicts this completely. The satellites will stay exactly where they can still be seen today. We have seen nothing like this, and, in fact, all the satellites of Saturn have come through displacement experiences in one piece, except for scarring. But this particular image, of the satellites of Saturn moving into a "wake" behind Saturn, as if we are racing through a lake, corresponds to the belief among some of the Electric Universe catastrophists (notably Cardona) that Earth and Mars came into the Solar System while positioned below the pole of Saturn. With Saturn entering the Solar System from below, as proposed above, the "left behind" satellites would have been somewhere below Saturn. There are problems associated with the "left behind" scenario besides the fact that it is science fiction. There are too many unsupported "iffy" clauses. We just have too much data which points to a much, much longer transition period between the entry of Saturn into the Solar System and the ultimate strange polar configuration of the planets -- the last of which was all seen to happen within human memory. Not the least of the problems with this scenario is that I am not aware that Saturn at any time took on the looks of a comet, what Thornhill calls, "the mother of all comets." I have never noted in any mythology anything representing a tail for Saturn, like a beard or long hair (as with Venus, Mercury, and the Moon). So in my opinion there would be no Saturnian satellites "strung out behind in their primary's cometary wake." There would be no wake and no primary or secondary tails and no bow shock either. All these lacking characteristics are the result of the very high positive charge with which Saturn would have entered the Solar System, and the resulting electric field centered on itself and its companion planets. There are other particulars which I disagree with. But it will not do to continue this critique. Let me instead suggest a constitution of the Solar System which will be developed in more detail later. First, I am suggesting a far longer period of interaction between Saturn and the Solar System and a far more complex series of interactions. Some of the interactions can be traced and dated. We have the information at hand. Any planets lost from Saturn would probably orbit the Sun on close orbits, much closer than Earth's present orbit, with differing inclinations to the ecliptic and probably also with differing eccentricities. Eccentricity is a measure of how much an orbit deviates from the circular, and thus how elliptical the orbit is. Seldom, if ever, would these orbits intersect. Saturn, because of its considerable mass, would remain on its very eccentric orbit, with the closest approach to the Sun (perihelion) near the orbits of these planets and an aphelion billions of miles away. And Saturn would show up only infrequently. Third, I would locate Jupiter much closer to the Sun during this period. At one time we assumed, from the knowledge of our Solar System, that other star systems would exhibit similar structures -- small planets in close orbits and larger planets in far orbits. The Earth today is located at a distance of 93,000,000 miles (150,000,000 km) from the Sun, called an Astronomical Unit (AU). Jupiter is today located 5 AU from the Sun; Saturn is at 9 AU. Uranus and Neptune are far beyond that. However, we have since found over a hundred stars with indications of planets and, in all cases, we have been astounded that these stars have planets the size of Jupiter at distances of only one to two AU from the star -- that is, not much further away from the star than the current distance of Earth from the Sun. It would thus not be unreasonable to suggest that, at an earlier time, Jupiter might have orbited the Sun at only one or two AU. At this location Jupiter would have a strong influence in modulating the orbits of any of the inner planets, and eventually provide the cause for the close of the "Era of the Gods." Fourth, what I will also suggest is that Saturn probably first intersected the Solar System at the start of the Cambrian, 560 million years ago. At that time the Saturnian planets (satellites), including Earth, continued to travel with Saturn, protected by the coronal envelope surrounding Saturn. Fifth, I will further suggest that Earth was captured by the Sun only after the Permian, 250 million years ago. For most of the time following the Cambrian, Saturn remained on an orbit with an extremely long period, crashing through the inner portion of the Solar System only infrequently. Sixth, sometime after the last three million years, however, that period was greatly reduced so that, by the time of the first humans, Saturn swept through the inner planets regularly, at perhaps 4000 year intervals. "Our forefathers in the most remote ages have handed down to their posterity a tradition, in the form of a myth, that these bodies are gods, and that the divine encloses the whole of nature. The rest of the tradition has been added later in mythical form with a view to the persuasion of the multitude and to its legal and utilitarian expediency; they say these gods are in the form of men or like some of the other animals, and they say other things consequent on and similar to these which we have mentioned." The angle of the axis of a planet to their orbit is not actually a good indication of a familial relationship. Where the axis points to in the dome of the stars is a much better index. On this basis it will be noted that the axis of inclination of the Earth and Mars are not anywhere alike, even though the numerical values of the angles are nearly equal. For the planetary satellites, it should be noted that almost every satellite of every planet revolves around the parent planet at the equator of the parent planet, with the satellite's axis parallel to the axis of the planet -- even the wildly tilted planet Uranus. Our Moon is not a satellite. It is a planet sharing the same orbit around the Sun as Earth. Saturn is about the right size to have been a minor star and was thought to be a ball of gas, although today it is known to consist mostly of liquid hydrogen -- not typical of a star by current precepts. Yet the amount of energy put out by Saturn today (including plasma flows, x-rays, and radio waves) exceeds the amount received from the Sun by a factor of three (where the Sun's energy is calculated as impinging heat and light radiation). That Saturn may have been a star has been suggested by any number of people over the years, but this theory was based on calculation of the mass of Saturn which suggested that it was composed almost entirely of gases. See David Talbott, The Saturn Myth (1980). Giorgio de Santillana and Hertha von Dechend, in Hamlet's Mill (1969), came to the same conclusion although the authors then deny their findings because the conclusion was so unbelievable. Instead they attribute the primacy of Saturn in antiquity to a metaphor for the precession of the equinoxes, and posit this understanding and a very early Neolithic awareness of precession to be the case for all societies in the world. Anecdotally, de Santillana and von Dechend started their investigation in order to disprove Immanuel Velikovsky's claims, as described in his book Worlds in Collision (1950), of a series of catastrophic contacts between the planet Venus and Earth in 1492 BC. Dwardu Cardona, in God Star (2006), furnishes a major update of the earliest mythological recollection from worldwide sources. "He [Talbott] insists on literal interpretations of texts ... to the exclusion of metaphor and many other modes of expression." However, Talbott is correct in attempting to avoid metaphorical interpretations. He is certain that the texts deal with descriptions of actual events. Yet, as a reader, you will notice that the Saturnian researchers often invoke metaphors when they are uncertain of the physical events or processes which are being described by ancient texts. I will insist later in this text that our ancestors were largely incapable of abstract metaphorical expressions until the first millennium BC, except for similes ("A is like B"). Expression of more complicated tropes was absent, despite the obvious fact that new words of any language are developed through metaphorical extensions. As I have already pointed out, the reaction to Worlds in Collision was absolutely volatile, especially from the scientific community for whom the ideas expressed by Velikovsky countered all the "scientific narratives" that they had grown up with as children and as members of the establishment and had accepted as invariant truths. The following is a recounting of the personal reaction by John Godowski, an engineer. "I opened the book to somewhere in the middle, read about half a paragraph, and I was stunned, astonished, and violently angered! No book had ever before or since provoked such a violent response from me -- I was furious!" "Like some warped version of a Greek myth gone literally mad -- written in a scholarly tone no less! With Footnotes! That was even worse! How could anyone with even the intelligence to put a decent sentence together actually stoop so low as to write such a thing? Was he a Crackpot? Out of his mind?" "Didn't he know about the billions and billions of years and the nebular theory of solar system formation? He couldn't have had an eighth grade education and not known! Therefore he must have known this was Totally False and Impossible before he ever put pen to paper." -- John Godowski, quoted by Robert Fritzius at www.shadetreephysics.com. Ten years later Godowski was convinced otherwise. "Is there nowhere an anti-Velikovsky treatise of serious consequence? The answer, regrettably, is still 'no.' Not in general nor even in a special discipline such as astrophysics or archaeology. Thousands of scientists and scholars have impugned his work. A few have stepped up to bat against him or one of his team: they put on airs; they dance about; they come up unprepared; they take blundering swipes at the ball; they strike out." "In spite of the variety of emotional expressions, the greatest number of reviews written by natural scientists, when reduced to the scientifically significant points, repeat monotonously the same general arguments. They appeal to the 'laws of nature' without any further specifications, and keep iterating the names of Newton and Laplace, as if they were an incantation, without referring to any specific passage or section of their works." "My own interest in Velikovsky stemmed in part from the hysterical scientific reaction to his ideas -- a reaction unique in this century when books proposing unorthodox ideas swarm, are ignored and sink without a trace." Venus was, without a doubt, on an elliptical orbit, and did cross Earth's orbit in an earlier era. Such an orbit can be calculated or estimated. More on this in following text. However, it never came close to Earth. If it had, we would not be here today. "Coming close" is not a condition for an electric interaction. Minor interaction will happen when plasmaspheres graze, at 20 to 30 planet diameters for adjacent passing planets with magnetospheres or atmospheres. Major electrical interactions only happened when plasmaspheres lined up (in line with the Sun). These have happened at distances of 10,000,000 and 20,000,000 miles (16,000,000 and 32,000,000 km). Sudden changes in orbital periods can be explained by the electric field force experienced by two planets as their plasmaspheres touch and merge, a very infrequent condition. The seismic disturbances on the crusts are due to repulsive electric impulses. These were experienced at considerable distances (millions of miles for Venus), but were brief, soon replaced by declining attractive force, and followed by electric arcing. More on this in a following chapter. Most of the changes in planetary orbits are due to the slow rotation of the second node of the elliptical orbits. But changes in ellipticity were also experienced. The change in shape in 685 BC (the astronomical date, corrected for the 4-year error in Eastern Mediterranean chronology) involved a displacement of the Earth's aphelion. The orbits of two planets will come closer together in time, and then separate again, as the individual orbits precess. The orbits of Earth and Mars are currently (circa AD 2000) aligned to a close approach, although still separated by a minimum of 30,000,000 miles (48,000,000 km). This close approach of Earth to Mars is not expected to happen again for 60,000 years. As I will make clear later in this text, a "close approach" is not a likely condition for a planetary interaction. It is the alignment of two planets so that their plasmaspheres line up, which results in the destructive electric field interaction between planets. "Close approach," as it will turn out as developed in these pages, is 10,000,000 to 20,000,000 miles (16,000,000 to 32,000,000 km). The same long reach of Venus has been implicated in the Spanish Flu epidemic of 1918. The suggestion is that the Sun, Venus, and Earth would have been in line a few months earlier -- with the Moon as an intermediate connection. This can be shown to hold for recent viral epidemics. Thus the suggestion that the 30,000,000-mile (48,000,000-km) tail of Venus could affect the local incubation of insects is not altogether without precedent. For more details on the virus connection see the Appendix "Venus and Epidemics." Immanuel Velikovsky Ages in Chaos (1952), Peoples of the Sea (1977), Rameses II and His Time (1978). Two additional texts, The Dark Ages of Greece and The Assyrian Conquest, were never published. The unpublished material may be found on line at [www.varchive.org]. See Peter James Centuries of Darkness (1991) for work coming out of the SIS on an Eastern Mediterranean chronology. Cardona is probably correct that the Earth could have existed within a plasma discharge (in this case like a "rarefied atmosphere") of a brown dwarf star. The temperature of the plasma might be quite high, but of such low density that it would be equivalent to "outer space." The border conditions of the electric field surrounding the Earth would isolate and protect the Earth's atmosphere from external conditions. Today the Earth exists under exactly the same conditions within the plasma discharge ("atmosphere") of the Sun. Titan, one of the moons of Saturn (today), and one of the largest moons anywhere (somewhat smaller than Mars), has a nitrogen atmosphere and a cloud cover. It was presumed to have rainfall, for, as reported by the Very Large Telescope (VLT) of the European Southern Observatory (ESO) in 2004, there were possible "huge surface reservoirs of liquid hydrocarbons" under the heavy clouds. The NASA/ESA Cassini spacecraft descended to Titan's surface in early 2005, to find it dry, but with an atmosphere of methane, nitrogen, and carbon dioxide. Titan exists within the discharge of plasma and radiation of Saturn. There are Mesopotamian influences in Egypt (bottle seals and other signs of trade) up to about 3100 or 3000 BC, at least in the Delta region ("Lower Egypt"). But they stop suddenly, and Egypt takes a completely independent course in its subsequent history. Trade may have stopped because of the flooding of the Nile delta and lower Mesopotamia. Talbott's sources were initially from what is known as The Book of the Dead -- a compilation of spells, many of which are descriptive of the acts of the deities involved, mostly from after 2349 BC. Talbott had been confronted with a confusing set of data in trying to make sense of Egyptian records, for the priesthood of Egypt kept track of every element of all the varied images in the sky viewed over a period of thousands of years, and all elements and symbols were superimposed on each other. This was the result of a democracy of Gods and religious practices among the many separate nomes (the 40 distinct temple districts of Egypt). The numerous variations of spells of the Egyptian Book of the Dead parallel this confusion. The welter of details that Talbott managed to extract suggested bizarre and inexplicable physical conditions that were almost unbelievable. Jupiter was probably held to be Seth initially, but understood soon as the mummified Saturn in the form of Osiris. Between 3000 BC and 2700 BC it is Mars/Horus who loomed largest in the sky and in religious practices. In the 4th Dynasty, after 2600 BC, when the religious climate changed, Jupiter was recognized as Re, the Midnight Sun. The first devotions to Osiris do not start until after 2349 BC. With that date the first pyramid texts appear as part of a series of spells which eventually become recognized as the Book of the Dead. The information about Saint Paul is from the literature of the development of Christian theology during the first century AD and is a modern reading. The background for salvation theologies is actually much broader than this and is developed in a later chapter. Site of Laszlo Kortvelyessy at www.the-electric-universe.info. See an endnote to the previous chapter for additional plasma-related websites and some books. The twisting of Birkeland currents occurs in arc mode and high-level glow mode. There are additional configurations in high-level arc mode, such as the separation into stable patterns of 28 or 56 bundles. When traveling long distances in arc mode, the streams tend to disconnect from the source (because of a voltage drop at the source) and continue to travel with a twisted body, with collapsed ball-shaped ends, and with chalice shaped extensions with a center column (looking like a lily) at both ends. The lily shapes tend to look like three fork tines when seen from the side where the plasma would appear to be denser. These are known as "plasmoids," and can travel millions of miles. Plasmoids are depicted in sculptures of the gods in antiquity in Europe, Asia, and Mesoamerica. See Thomas Gold "Electrical Origin of the Outbursts on Io," Science, 206:1071, 1979. The electric nature of the "eruptions" was backed up by Anthony Peratt and A. Dessler in "Filamentation of Volcanic Plumes on the Jovian Satellite Io" (in Astrophysics and Space Science, number 144, 1988), although they have a somewhat different take on what specifically is happening with Io, based on the shape of the outbursts. The paper identifies the plumes as plasma, and thus electrical. Most, if not all, of the published establishment material insists on an interpretation based on an analogy with terrestrial volcanism, despite the fact that every aspect of the expected consensus for volcanic activities is missing. For a discussion of interplanetary electric fields and plasma, the exterior negative charge (surface charge) of planets, and the electric characteristics of the Sun, see an article by Ralph Juergens, "Reconciling Celestial Mechanics and Velikovskian Catastrophism," at [saturniancosmology.org/juergens.htm], originally presented in Pensee (1972). For a more recent general popular discussion, see the essay by James Hogan from his book Catastrophes, Chaos and Convolutions (2005) at [saturniancosmology.org/jameshogan.htm]. Thornhill's and Talbott's ideas were expressed at the Kronia Nevada Conference of July 2001. My take on this is that Saturn orbited the Sun, together with Earth and the other planets, for about 1000 years. This ended in 3147 BC. The whole concept of a "corkscrew" single entry is pure nonsense. Thornhill will attempt to justify the single entry with suggestions of plasma interactions, but plasma per se cannot retard the travel of a planet. It would take the force of an electric field interaction, which is beyond the conceptual basis of the Thunderbolts group. In the book of Genesis, God separated the waters below from the waters above by creating the dome of the sky. This is the appearance of the northern stars in 4077 BC, when the glow mode coma of Saturn collapses. The "waters above," which had been the plasma outpouring from Saturn to the surrounding space, remain "above" as the rings of Saturn and a stream of water, or what looked like water, connecting to Earth. Only Mercury revolves at the Sun's equator, although it also has the most elliptical orbit of any of the planets, doubling its distance from the Sun during each orbit. The remaining planets today have orbits differing by a few degrees from the "ecliptic" -- defined as the plane of the Sun and Earth, and 7 degrees off the Sun's equator. Pluto is off the ecliptic by 17 degrees and on a wildly eccentric orbit. I have never considered Pluto a planet. I should also add that the "flattening" of orbits may not strictly be required: because gravity represents a spherical field, the flattening of orbits is not due to the gravitational influence of the Sun. It is the minor tugs that larger planets exert on others with each passage which forces a flattening of orbits over an extended period of time. The location of all the planets to a band extending only a limited amount above and below the Sun's equator is a phenomenon not defined by gravity. It remains undefined. The same inexplicable phenomenon of being grouped at or near the equator is seen in the rotation of nearly all planetary satellites of the planets (and almost all in the same direction), including the satellites of Uranus, which lies on its side with respect to the ecliptic. In fact, we would expect the planets to circle the Sun much closer to its equator, if that is the rule for travel around a primary, and if they had been in their current positions for 4 billion years. It would be suggested that they have not been in their current locations all that long, although admittedly their orbits are also separated from each other by absolutely enormous distances, unlike planetary satellites. In the next chapter I have made an estimate of 15,000 years for the time it would take Saturn to pass through (entering and exiting again) the plasmasphere of the Sun, which extends (it is estimated) about 100 AU, that is, 9,000,000,000 miles (14,000,000,000 km) from the Sun. This is based on Saturn having an orbital period of 27 million years, and an orbital diameter of 90,000 AU. Paleontologists have estimates 10,000 years for each extinction event, where I have 15,000 years. Tom Van Flandern, in Dark Matter, Missing Planets and New Comets, allows such a loss of satellites by a body passing close to the Sun. The book is subtitled, Paradoxes Resolved, Origins Illuminated, a phrase I have used on my SaturnianCosmology.org business card. Size of this page: 11603 words.